At Glass and Vine, Grove Bay's first full-service, original-concept restaurant, modern Floridian food is served alongside drinks that feature fresh, seasonal ingredients. Just seven years old, Miami’s Grove Bay Hospitality Group has already formed partnerships with celebrity chefs and an internationally recognized professional golfer. With plans to add several more high-profile venues in the short term, the company is among the Miami market’s fastest-growing restaurant groups. According to cofounder and CEO Ignacio Garcia-Menocal, Grove Bay’s sales are growing approximately 30 percent a year and are expected to reach $22 million in 2017 and to surpass $30 million in 2018, with $40 million in sales revenue likely to be reached in just a couple of years. The company’s portfolio includes two casual but sophisticated full-scale restaurants, one fast-casual eatery, a franchised steakhouse and a licensed venue at Miami International Airport, with three new restaurants expected to open by year-end. In general, the food-to-beverage split is 70 percent to 30 percent, with the per-person average at the full-scale restaurants about $50. According to Garcia-Menocal, Grove Bay is expected to employ 500 workers by the end of 2017. 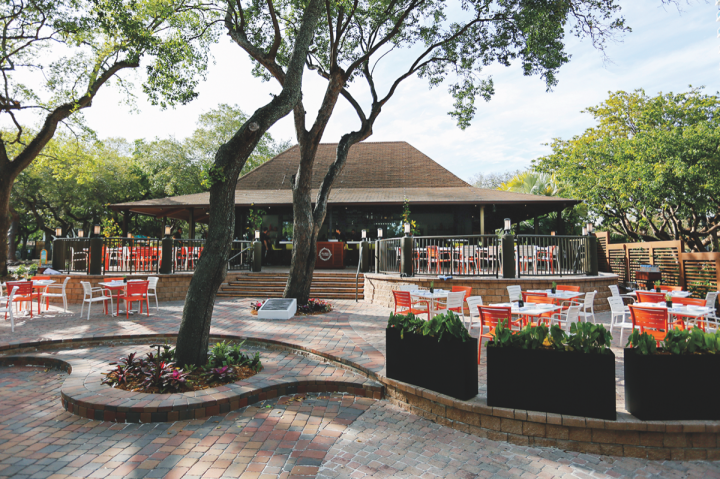 In 2010, Balli and Garcia-Menocal opened a franchise of Shula’s 347 Grill in Coral Gables. They received a license to operate Corona Beach House—a casual, full-service restaurant—at Miami’s largest airport in 2013. That same year, the duo received a long-term lease from the city of Miami for several restaurants and a special-events space within a seven-acre public property to be redeveloped along Biscayne Bay in the Coconut Grove area. The company’s name comes from this project, which broke ground earlier this year and is expected to open in late 2018 or early 2019. 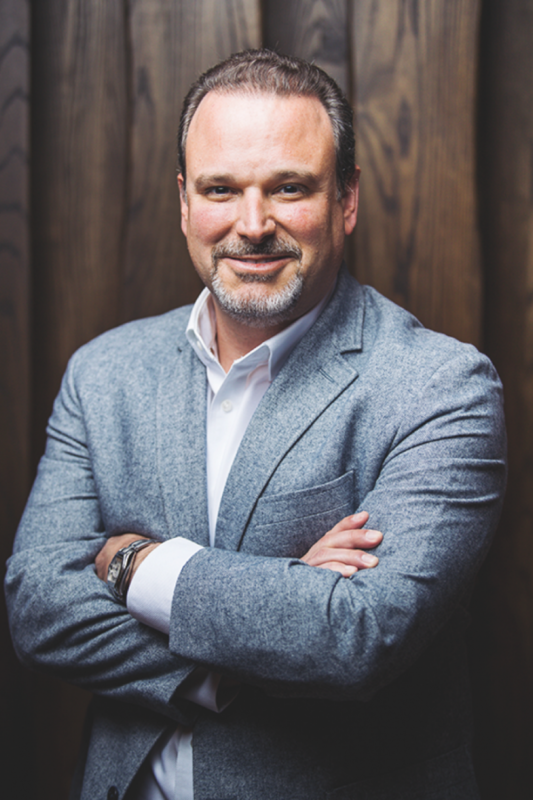 Acevedo—a hospitality veteran who had previously worked with Garcia-Menocal at a fast-casual chain—joined Grove Bay last year. He oversees operations; Garcia-Menocal is responsible for financial matters, human resources, and legal and marketing affairs; and Balli focuses on new business development. The executives share a vision of furthering Miami’s reputation for dining. The city’s developing “vibrant culinary and beverage scene” has only taken off in the last seven to 10 years, Acevedo notes. “While Miami is catching up with some other cities, we’ve always felt there was a need for better restaurants here,” says Garcia-Menocal, adding that Grove Bay will play a role in that transformation. 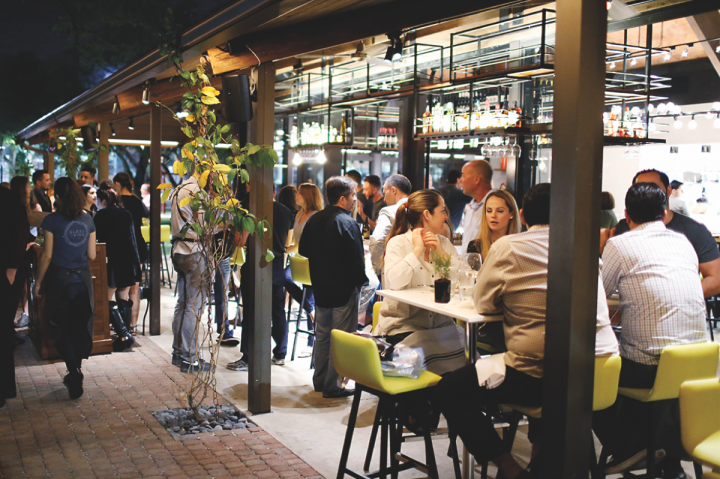 Grove Bay’s first full-service, own-concept restaurant, Glass and Vine, opened early last year in Peacock Park in Coconut Grove, one of Miami’s oldest neighborhoods, which Balli says is undergoing a renaissance. “Glass & Vine is basically named for its surroundings,” he explains, as the building where the restaurant resides is nearly all glass, while all seating is set outside overlooking the park, complete with mature and new plantings that include vines. Chef Giorgio Rapicavoli, a Food Network “Chopped” champion and James Beard Award semifinalist, oversees the menu, which focuses on modern Floridian cuisine. The drinks menu also pays homage to local tastes and features fresh, seasonal ingredients in cocktails like the Magic Schoolbus, made with Leblon cachaça, Aperol aperitif, passion fruit purée, simple syrup, lime juice, soda water and a mint sprig garnish ($11). The wine list includes more than 50 international selections ($8 to $19 a 5-ounce glass; $29 to $180 a 750-ml. ), while four of the six draft beers ($8 to $9 a 10- or 14-ounce pour) hail from the Sunshine State. “People love wine in South Florida,” remarks Acevedo, who oversees the beverage program at all Grove Bay venues. “They travel quite a bit so they’re exposed to a variety of cultures. Having an international wine list is expected.” The overall beverage mix at Glass and Vine is 56-percent wine, 36-percent spirits and 8-percent beer. Acevedo concedes that operating an outdoor venue like the 4,000-square-foot Glass and Vine can be challenging. “Being exposed to the elements brings along a lot of unforeseen and unexpected challenges, everything from rain and wind to flies and mosquitos,” he says. The group has responded to those issues with the addition of items like umbrellas and circulating fans. Acevedo adds that “convincing the South Florida market that it’s okay to step out of the air conditioning and eat outside” has also been a bit of a challenge, although he says Coconut Grove residents have been open to the idea. In addition to Coconut Grove, the hospitality group also sees opportunity in the commercial redevelopment that is taking place in the downtown neighborhood of Brickell. Late last year Grove Bay opened two adjoining restaurants in the new Brickell City Centre mixed-use space. The Big Easy Winebar & Grill is a partnership with Ernie Els—an internationally renowned golfer turned winemaker who is nicknamed “the Big Easy”—and the first U.S. location for the South African–themed concept, which boasts three units in South Africa and Dubai. 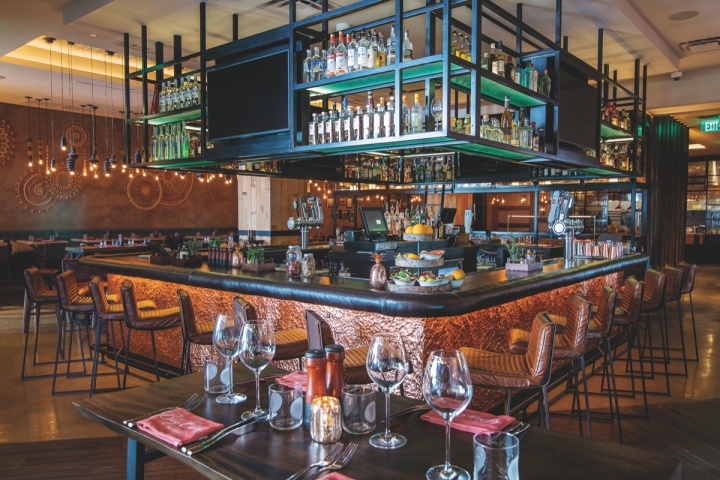 The 5,600-square-foot indoor and patio space features furniture and décor from South Africa’s Western Cape and a central bar with premium spirits displayed on shelving suspended from the ceiling. “We look at every concept and ask ourselves whether we’re bringing something new to our market,” Garcia-Menocal says of the gamble in opening a restaurant focused on the cuisine and wines of South Africa. But South Floridians have responded in kind. “The restaurant’s doing extremely well,” he continues, noting that just like Latin-American cuisine, South African food is also meat- and grill- centric, with flavor and spice influences from Europe, Asia and Africa. "We look at every concept and ask ourselves whether we're bringing something new to our market." Beverage sales at the Big Easy skew toward wine, with South African wines accounting for at least 70 percent of the venue’s wine sales. Overall, the venue’s beverage mix is 55-percent wine, 35-percent spirits and 10-percent beer. The restaurant offers 34 wines by the glass ($10 to $26) and approximately 200 wines by the bottle ($40 to $648). “The Ernie Els wines move the best. They drink extremely well and are very food friendly,” Acevedo says of offerings from the golfer’s Stellenbosch winery, like the 2014 Big Easy Cabernet Sauvignon ($14 a glass; $65 a 750-ml.). Among the Big Easy Signature cocktails ($10 to $14) that are off to a fast start is the Smoking Barrel ($14), comprised of Big Easy red wine, Jura single malt Scotch, clove syrup and Sandeman ruby Port. Six craft beers are available on draft, priced from $6 to $8, depending on the pour size. 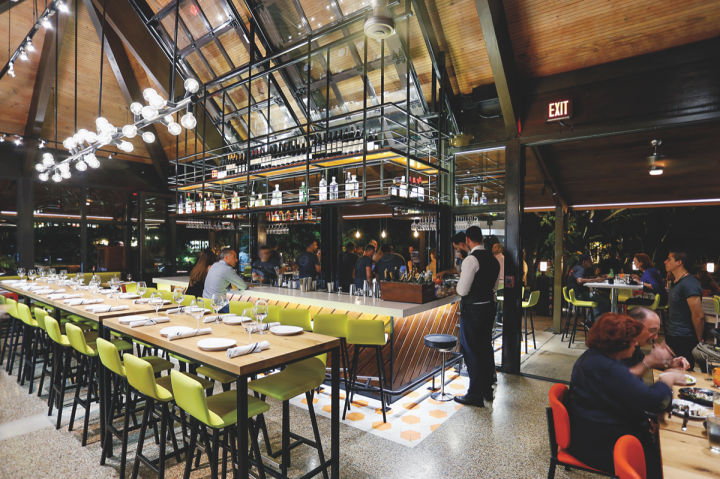 American Harvest, a fast-casual restaurant featuring dishes made from farm-fresh, locally-sourced ingredients, is located next door to the Big Easy in the Brickell City Centre and also opened late last year. Balli explains that with his partners’ experience in the fast-casual sector and growing interest in clean eating, the time was right to open the 1,700-square-foot venue. “People are looking for quality ingredients in their food, so a visit to a fast-casual restaurant can serve as a night out,” he says. “The availability of beer and wine complements the experience.” American Harvest—with an average check of $18—offers cans of local craft brews ($5) and ciders ($6), and single-serve 187-ml. tumblers of wine ($8). A second unit of American Harvest—the only concept Grove Bay plans to replicate—is scheduled to open in south Miami by the end of the year. Last year, Grove Bay opened the South Africa–themed Big Easy Winebar & Grill in partnership with internationally recognized South African golfer Ernie Els. The group also plans to open two new full-service restaurants by year-end. Stiltsville Fish Bar, a casual Miami Beach concept featuring locally sourced seafood and Key West–inspired drinks, is a partnership between Grove Bay and chefs Jeff McInnis, a James Beard Award nominee, and Janine Booth of “Top Chef” fame. Meanwhile, Stubborn Seed, a South beach restaurant in partnership with recent “Top Chef” winner Jeremy Ford, was preparing to open at press time. Ford will also oversee Afishonado, a seafood restaurant in the Coconut Grove development that is scheduled to open next year. Also planned for the Grove project is Cut + Dry—a meat-focused restaurant that Garcia-Menocal says will be led by a “well-known celebrity chef”—and Hangar 42 Pub & Grub, a casual waterfront restaurant. Both venues are slated to open in 2018. Acevedo notes that Grove Bay’s chefs work closely with the beverage team to develop wine lists and drinks menus. “For the Big Easy wine list, it was a close collaboration between the Ernie Els vineyard, our team and the chef who created the menu,” he says. “For the spirits program, we typically decide early on if the restaurant will focus on one particular spirit or varied spirits.” In the case of the upcoming Stiltsville, for example, Acevedo reveals that the cocktail menu will revolve around rum. As for beer, Acevedo notes that Grove Bay has teamed up with Boston Beer Co. for Glass and Vine Tropical IPA ($8 a 14-ounce pour), a special variation of Samuel Adams Rebel IPA, which will also be rolled out to all of the company’s full-service restaurants. Looking ahead, Garcia-Menocal says Grove Bay’s beverage program will remain critical to the company’s success. In fact, he says there are plans for a corporate mixologist and sommelier down the road.